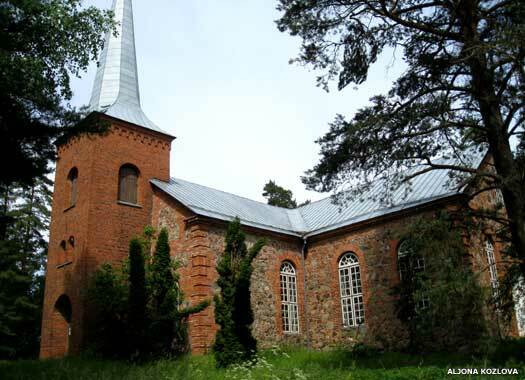 Alatskivi Church is a Lutheran church situated in the village of the same name ('kivi' means stone), approximately four kilometres from the shore of Lake Peipsi. 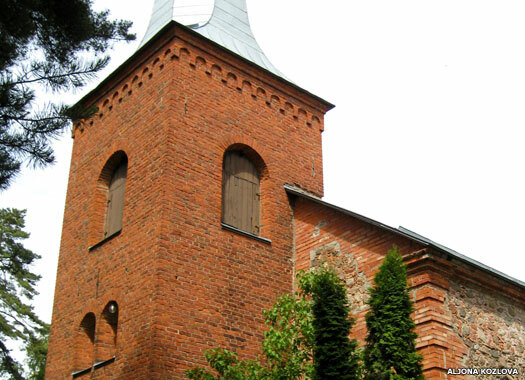 A chapel existed here in the Old Livonian Period between the thirteenth to sixteenth centuries, although nothing is known about it. 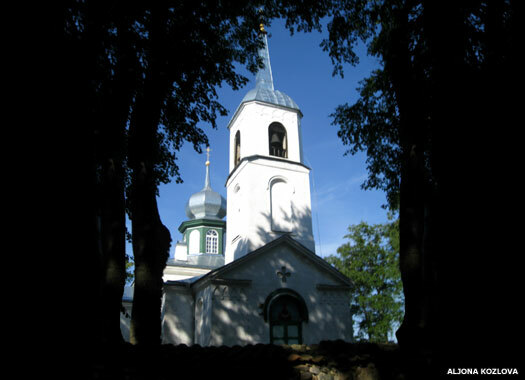 In 1627, Alatskivi's congregation was merged with that of Kodavere, and the first record of the church's existence comes from 1636, in the notes of the Swedish governor-general. On 4 October 1812, the current church was blessed. On 21 October 1866, work on renovating and updating the church was completed and the church was blessed. 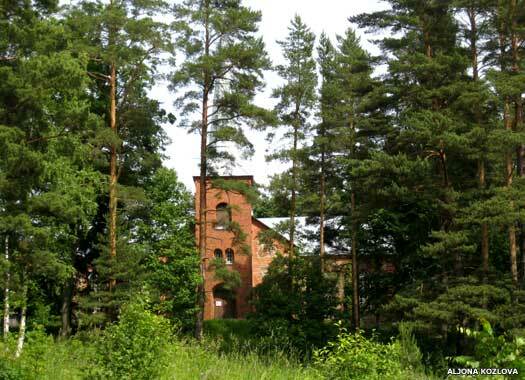 The work had included building the side wings (transepts) and the altar room, and the work was carried out under the administration of the local landlord and owner of Alatskivi Manor, Arved Georg von Nolcken (1845-1909). The bell tower was added in 1890, of simple plain brick, and blessed on 28 September. In 1927 the congregation separated from Kodavere and became independent. In 1930, the first Estonian vicar (or 'teacher' - the word is interchangeable in Estonian), Osvald Põldma, filled the position. 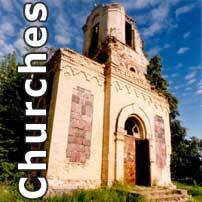 In 1960s and 1970s the church was run-down, and was vandalised and looted. In 1982 renovation work began, and on 21 August 1993 the first service was held in the renovated church after the receipt of a single large donation allowed everything to be completed. 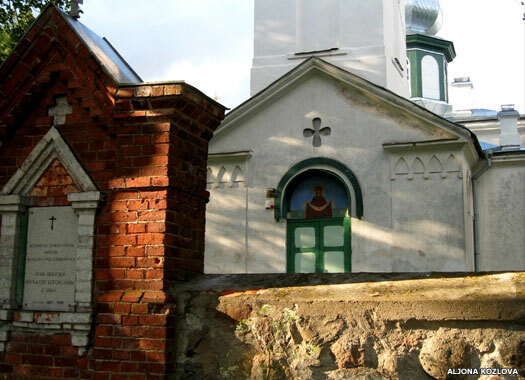 Nina Apostolic Orthodox Church is on the shore of Lake Peipsi. 'Nina' means 'nose' in Estonian, perhaps in reference to the promontory which the town of Nina forms into the lake. Nina is the oldest of the Peipsi fisherman villages which were created in the second half of the seventeenth century by the Russian Old Believers (or 'Onion Russians'), although Nina was first recorded in 1582. The villages stretch in a chain which covers much of the Estonian side of Lake Peipsi. These were the first inhabitants of the bigger contemporary fisherman villages who paid fees to the Baltic German land owners. 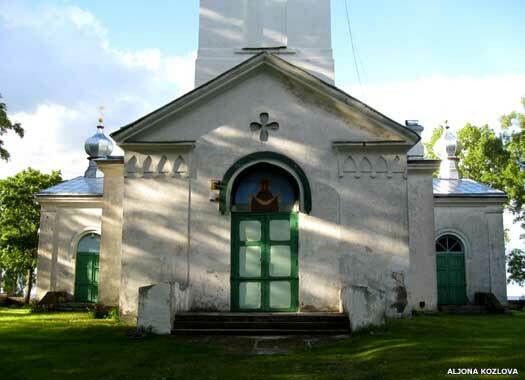 The church was built between the years 1824-1828, and represents the Classicist building tradition in Orthodox church construction, dominated as it is by its onion-shaped cupolas and the needle-pointed bell tower. It was enlarged into a cross shape in 1908. A church school was added in 1847 and was in use until 1973. The lake freezes over every winter, and when the ice starts to thaw and break up, large sections of it push against each other, forming small mountains. This was most notable in 2002 when the ice was pushing heavily against the shore, causing houses to shake and making the residents afraid that their homes would be demolished by the ice. The people went down to the shore to pray for the ice to stop, and miraculously it did, confirming their already strong religious beliefs. All photos and text on this page contributed by Aljona Kozlova.